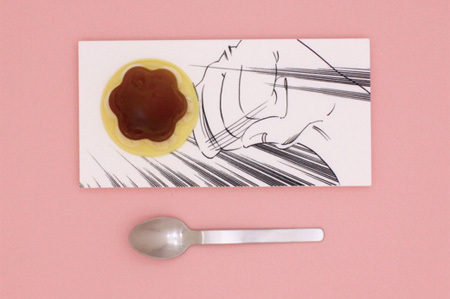 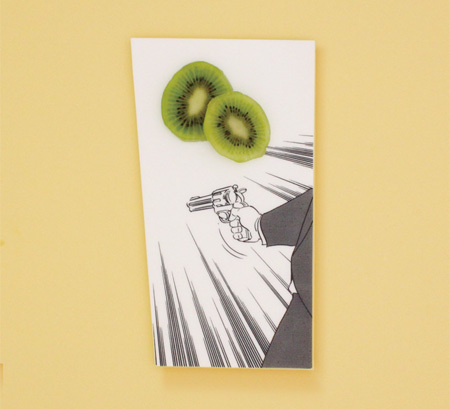 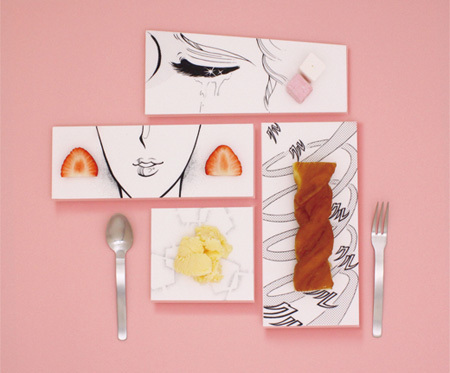 Manga Plates is the graduate project of Japanese designer Mika Tsutai studying at the Kyoto university. 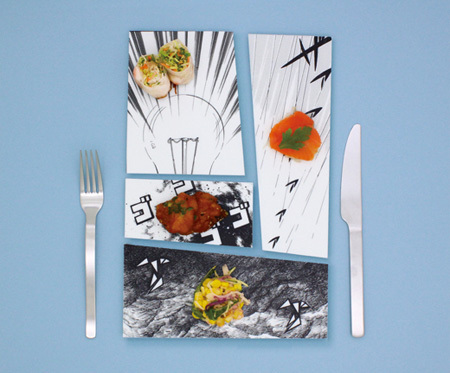 Each plate from the collection features various black and white drawings as if it was frame taken from a manga anime. 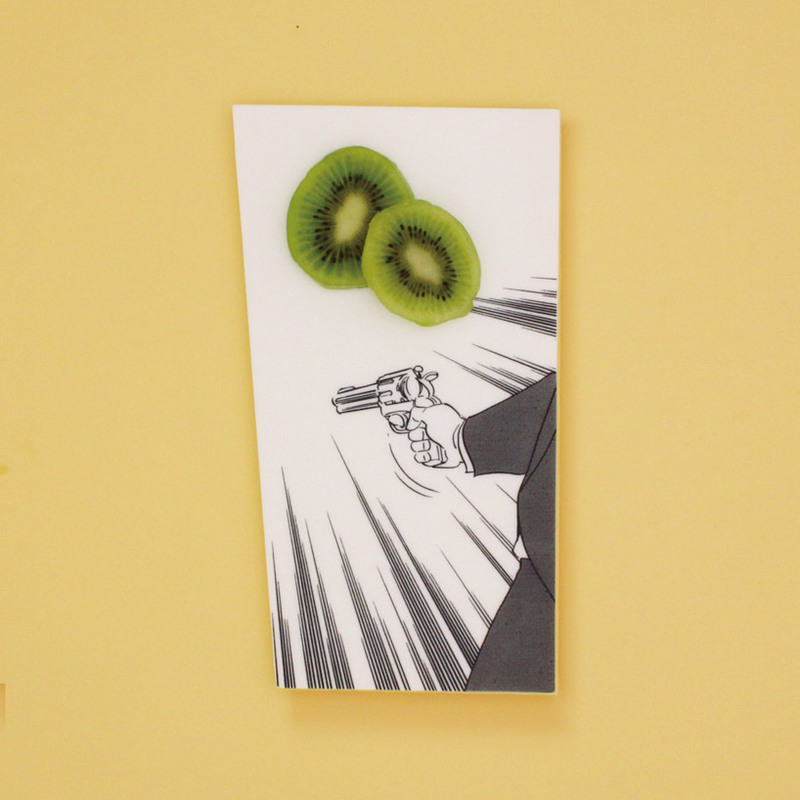 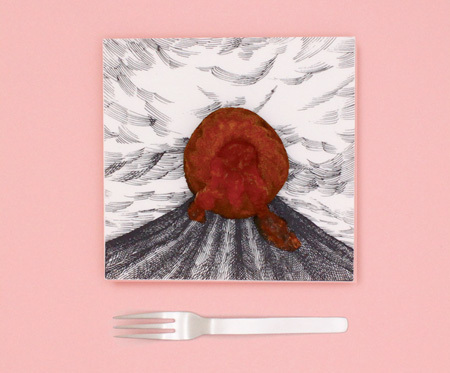 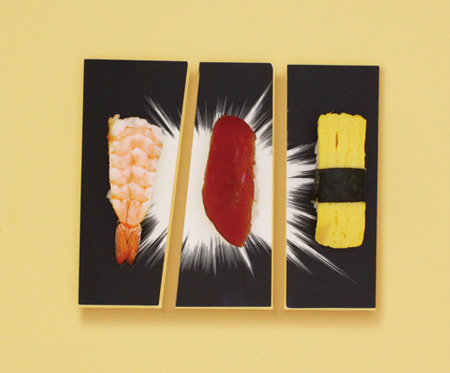 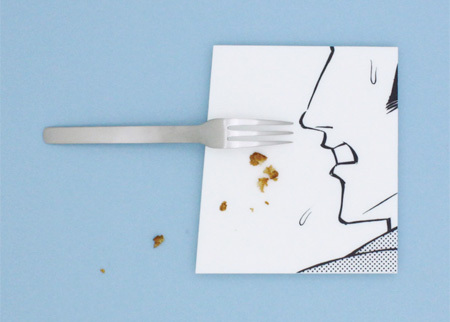 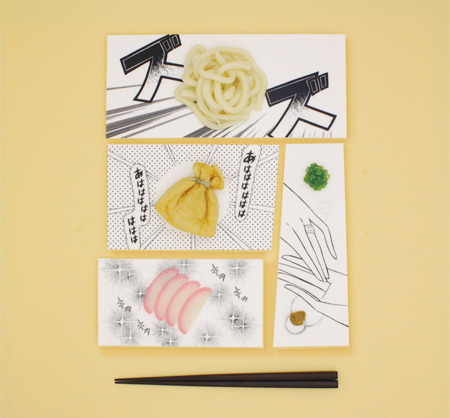 when food is arranged in a certain way among the plates, an animated visual is created. 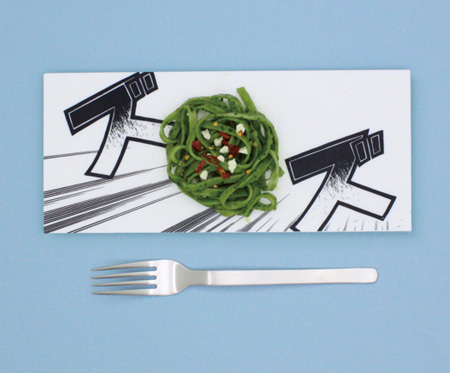 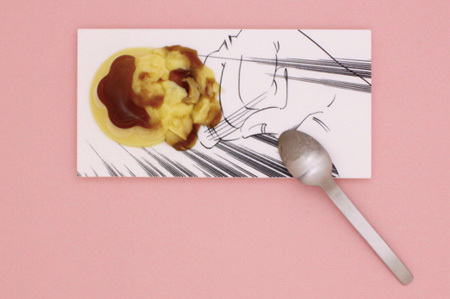 By placing these dishes in a particular manner you can transform your dinner table into a story, just like that of a page from a japanese comic.